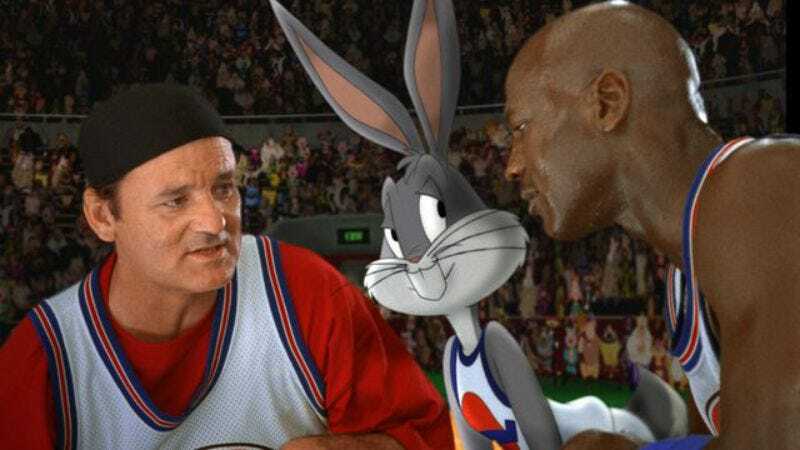 In celebration of Space Jam’s 20th anniversary and the NBA All-Star Game in Toronto on February 14, TIFF Next Wave presents a live read of this Looney Tunes/​​live-action mashup with an exciting lineup of talent from the sports and entertainment worlds. No word yet on the talent that will be participating in this magnificent theatrical event; TIFF asks us to “stay ’tooned’” for cast announcements, but a little speculation is kind of hard to avoid. Michael Jordan is seems likely to reprise his role as Michael Jordan, and this is a weird enough thing that the often-cagey Bill Murray coming back is not entirely out of the question. Lebron James is, for confusing reasons, kind of maybe attached to a Space Jam sequel already, so he’s like a distinct possibility. And how about James’ Trainwreck co-star Bill Hader? That guy’s in everything these days, even Star Wars: The Force Awakens. So let’s count him in, for the hell of it.